Most noticeable is the development of e-book sales through subscriptions. This shows growth of 430% compared with Q2 2016. The (loose) ebook sales continue to grow: 8.4% compared to Q2 2016. To the charts sales / market value comparison, a third element is added: the number of unique titles responsible for the relevant sales and market value. With the partion of genre it is visible that in the "smaller" genres more titles are responsible for the sales than with fiction and thrillers. 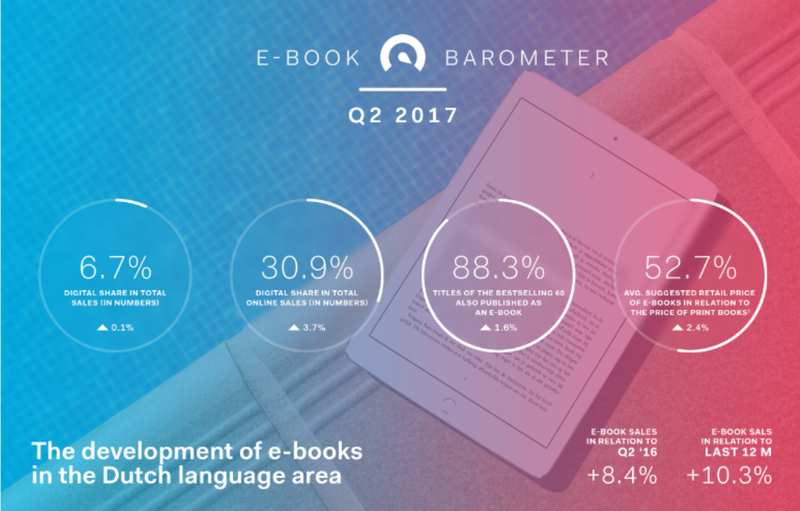 Download the e-bookbarometer Q2 2017. Check the previous barometers at www.cb.en/infographics.